Much like its originator, the Nissan Titan XD provides the same reliable performance, but takes it to a whole other level. With a bigger, bolder body design and frame, as well as a torque-heavy diesel engine, it’s got heavy-duty written all over it. 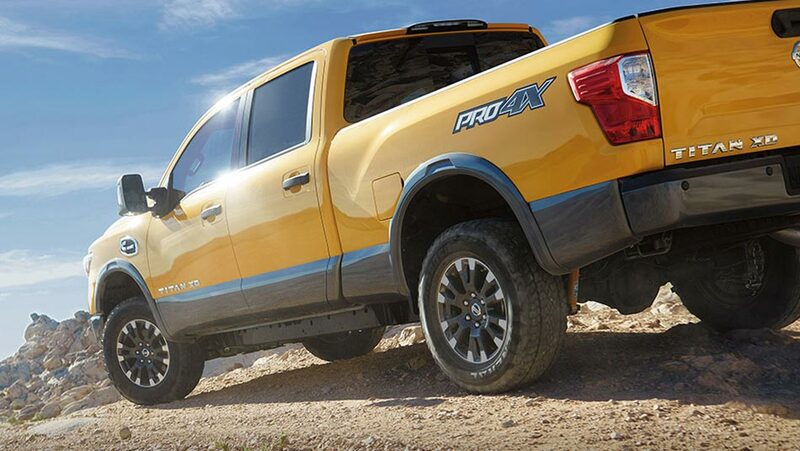 Whether you’re driving for work, leisure, or more, the Titan XD is built to conquer any task it’s dealt with, and more. Learn about Nissan’s heavy-duty pickup truck, here at your south Edmonton Nissan dealer. This model year, the Titan XD brings more modern features to further enhance your driving experience. For starters, the 2019 Titan XD now gets both Apple CarPlay™ and Android Auto™ standard across all models, along with a wider 7.0-inch touchscreen, giving you every option for full smartphone integration. 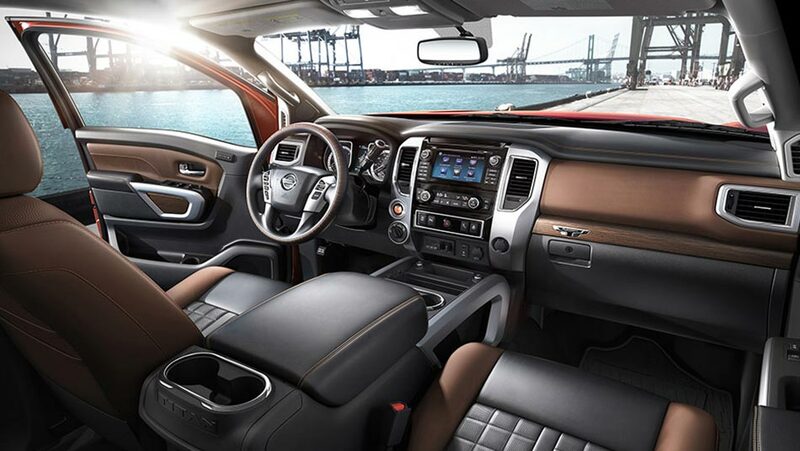 In extended and crew cab versions of the truck, you also gain Rear Door Alert to make sure you don’t forget anything before leaving the car. On the performance side, the 2019 Titan XD includes a larger tank for diesel exhaust fluid, as well as a new integrated gooseneck trailer hitch that pairs perfectly with a cargo-bed plug. Altogether, the Titan XD is just as unstoppable as it was last year. Since joining the Nissan lineup in 2016, the Titan XD has helped raise the bar with its exceptional performance capabilities. Most notably, its standard, class-exclusive Cummings® 5.0 V8 Turbo Diesel engine propels the Titan XD with a horsepower of 310 hp and an incredible torque of 555 lb-ft. With such power underneath its rugged exterior, it’s no surprise that the Titan XD has a towing capacity of up to 11,960 lbs, and a payload capacity of up to 2,470 lbs. Additionally, you can also choose to drive with the 5.6L V8 Endurance® Gas V8 engine, if you’re seeking a more powerful horsepower of 390 hp. Test drive the TitanXD’s power for yourself!